On March 4, Diane Ruonavaara joined Extension Center for Family Development as the program coordinator for the Substance Abuse and Mental Health Service Administration Rural Opioid Technical Assistant Grant (SAMSHA ROTA). 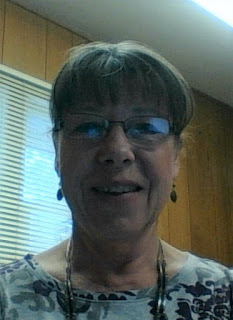 Diane retired from Michigan State University (MSU) in 2017. Prior to retiring she was the program manager for the Tanzania Partnership Program (TPP) at MSU from 2009-2017. TPP works with marginalized communities in rural Tanzania to promote resilient communities and sustainable prosperity using participatory and appreciative approaches. TPP focuses on improving water access and quality, human and animal health, education, and community empowerment. From 2000-2008, Diane worked as an evaluation and grant-writing specialist with MSU Extension and contributed to the internationalization of Extension at MSU and nationally. Diane has 16 years of experience in international community development, participatory research, and evaluation of Extension and rural projects. She has studied, taught, and/or done research in Tanzania, Mexico, Guatemala, Nicaragua, Ecuador, Belize, Bolivia, Peru, Argentina, Vietnam, and the United States. She has also led several international trips for 4-H, university students, community members, and Michigan teachers. Diane received her Ph.D. from the Department of Resource Development at MSU in 2000 with specializations in International Community Development and Latin American Studies.